It snowed today!! Ken says it never snows in Tokyo anymore, but it snowed today. 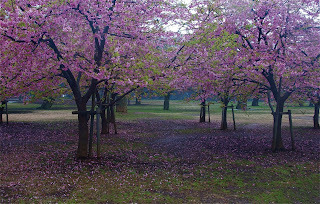 Earlier this morning before the snow, I was in YoYogi Park and captured a few cherry trees that were in full bloom. I was glad to see the snow, but I will really be happy when Spring arrives.